Chamber Choir Ireland is committed to transparency and accountability in all of our work. We have committed to the Statement of Guiding Principles on Fundraising. Read our Donor Charter, Feedback and Complaints Procedure and details of how we comply with the Principles. As a charity seeking donations from the public Chamber Choir Ireland aims to comply with the Statement of Guiding Principles for Fundraising.Our pledge is to treat all our donors with respect, honesty and openness.We commit to being accountable and transparent so that donors and prospective donors can have full confidence in Chamber Choir Ireland. Be informed of the organisation’s vision and mission, and of the way the organisation intends to use donated resources. Be informed of the identity of those serving on the organisation’s governing board, and that he board will exercise prudent judgement in its stewardship responsibilities. 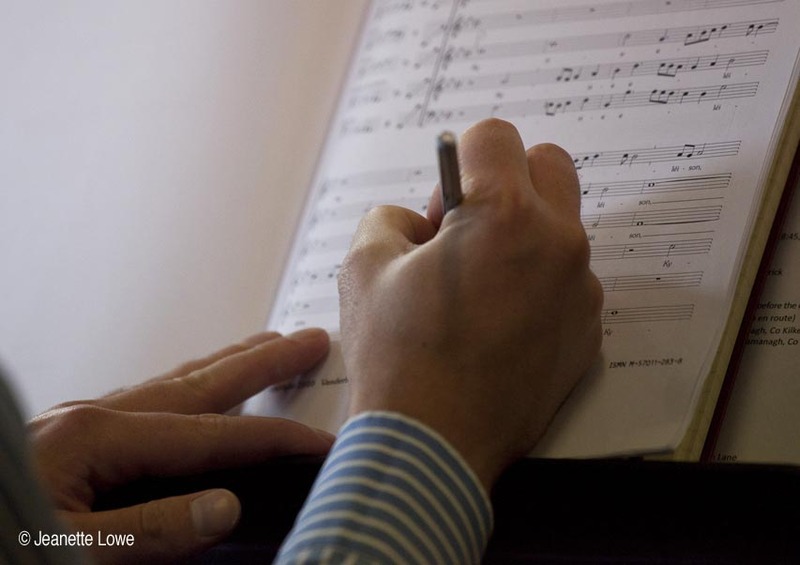 If you do have a comment about any aspect of our work, you can contact Chamber Choir Ireland in writing or by telephone. In the first instance, your comment will be dealt with by our Chief Executive. Please give us as much information as possible and let us know how you would like us to respond, providing relevant contact details. We are open 5 days a week from 10.00 am to 5.00 pm, and closed between 1.00 pm and 2.00 pm each day. Chamber Choir Ireland is committed to ensuring that all our communications and dealings with the general public and our supporters are of the highest possible standard. We listen and respond to the views of the general public and our supporters so that we can continue to improve our communications. we learn from complaints, use them to improve, and monitor them at management and Board level. If you do have any feedback or a complaint about any aspect of our work, you can contact Chamber Choir Ireland in writing or by telephone. In the first instance, your comment will be dealt with by our Chief Executive, Majella Hollywood. We are open 5 days a week from 10.00 am to 5.30 pm, and closed between 1.00 pm and 2.00 pm each day. If you are not happy with our response, you may get in touch again by writing to Chamber Choir Ireland’s Chairman Michael Walsh at the above address. The Chairman will ensure that your appeal is considered at Board level and will respond with two weeks of this consideration by Board members. Chamber Choir Ireland is committed to complying with the Statement of Guiding Principles for Fundraising and has formally discussed and adopted the Statement at a meeting of our Board.Chamber Choir Ireland confirms its commitment to the principles set out in the Statement of Guiding Principles for Fundraising by a statement to that effect in its annual report. Having Donor Charter which is consistent with the Statement of Guiding Principles for Fundraising. Regularly monitor compliance with the Statement of Guiding Principles for Fundraising and report on compliance regularly to our Board. Having a feedback and complaints procedure consistent with the Statement of Guiding Principles for Fundraising. Preparing our financial reports consistent with the requirements of the Charities Act 2009, including a statement concerning the extent to which control of the organisation is independent of its funding sources. Ensuring that all donations are tracked and recorded and comply with data protection requirements. Ensuring our organisation is accessible to the public through a number of readily available contact options.